The 2018 Honda Odyssey returns to Bell Honda completely redesigned, featuring a modern makeover that is sure to spark conversation. Both taller and leaner for the current model year, the Odyssey is placed atop a brand-new chassis with a new rear suspension that paves the way for class-leading cargo space in a van that offers a wide range of creature comforts you're sure to love. Additionally, the new van offers more power than its predecessor, thanks to its enhanced engine dynamics. Keep reading our 2018 Honda Odyssey review to find out what the vehicle has in store for you and your family. The 2018 Honda Odyssey in Phoenix comes packed with features no matter the trim, which include LX, EX, SE, EX-L and Touring models. The new van now features a Cabin Watch system, giving drivers the ability to beam a view of their passengers using infrared vision. Plus, when you're behind the wheel you can also take advantage of the vehicle's Cabin Talk technology to communicate with second- and third-row passengers via the stereo speakers or the rear entertainment system's headphones. 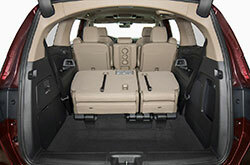 The Odyssey's cabin is also quitter inside, thanks to thicker door seals, and additional sound-damping material in the floor, fenders and engine compartment. 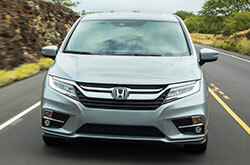 2018 Honda Odyssey reviews also praise the van's ability to offer a plethora of technologies, which include Apple Car Play and Android Auto, and an available rear entertainment system with a 10.2-inch drop-down mounted on the cabin's ceiling. 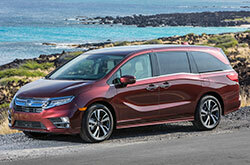 Motivating the 2018 Honda Odyssey in Phoenix is a brand-new 3.5-liter V6, delivering 280 horsepower, which is a power boost compared to the old 248-horsepower engine. The motor is also paired to either a nine-speed automatic transmission or an optional 10-speed automatic. Power is sent to the vehicle's front wheels. 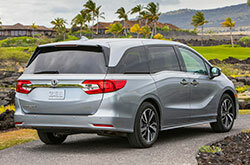 Valley drivers are sure to appreciate the Odyssey's long list of safety gear, which now includes automatic emergency braking, lane keep assist, road departure mitigation, blind-spot monitoring and adaptive cruise control. There's also various high-quality airbags, antilock brakes and a rearview camera that makes parking jobs a breeze. 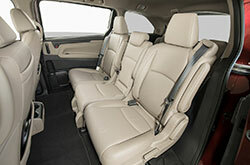 To learn more about the new minivan in Phoenix, please stop by Bell Honda to see it in person and take it for a test drive. Get All the Latest Specs on the Honda Odyssey! Have the 2018 Nissan Quest, Toyota Sienna, Chrysler Pacifica and the Kia Sedona seized your attention? Then you should also take into account buying a 2018 Honda Odyssey in the Phoenix area. Its in-car technologies and winning exterior design might just seal the deal if you're looking at a series of cars. 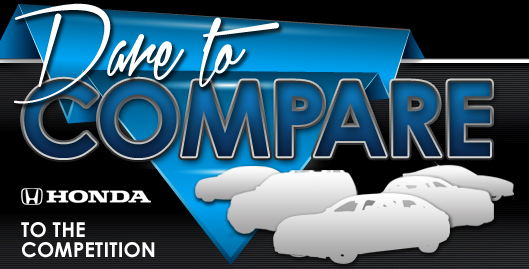 After using our 2018 Honda Odyssey review and compare page, view the latest current lease offers online! As your hometown Honda car retailer, we're the place to find manufacturer incentives on the Honda Odyssey, as well as other new and late-model-year used vehicles. We've provided this 2018 Honda Odyssey review because it's essential to make an intelligent decision when you're deciding on a car. Peruse our large selection of Honda Odyssey models online. Then visit Bell Honda for a test drive. If you're hoping to see it preceding your visit, view its exterior design and see how it's equipped in the embedded video.